I want more, more, MORE!! Here's another dark confession: I am practically obsessed with kerosene lanterns, flashlights, bags and packs, carry knives, solar chargers, and batteries. Probably a few other items, too. And I'm not even sure why since I can do without most of those things just fine (especially the higher-tech things), although maybe being able to do without makes me appreciate them even more. I know that's the case with fire-starting. I have a hard time passing up any of those type things when I see them at a thrift store or yard sale. I mean, I do pass them up, I just don't enjoy doing so. 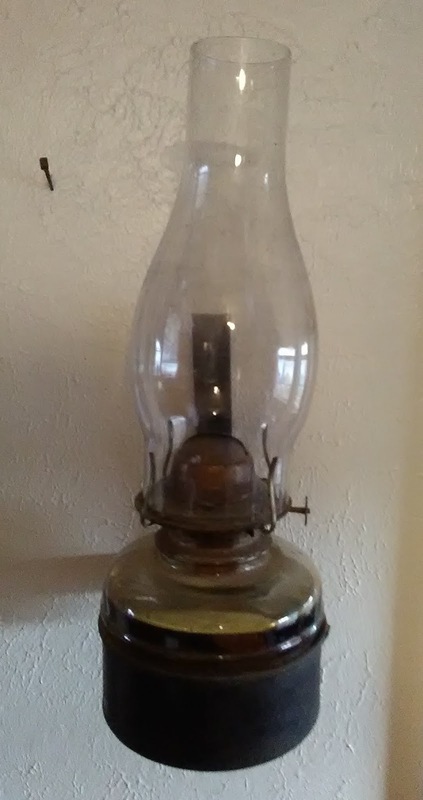 I can't afford to buy more of things I probably have "enough" of, and with at least one kerosene lamp in every room of the house (and maybe one power outage of any duration in 8+ years) even I can admit I probably don't need another kerosene lantern. In fact, it's been years since I bought one. I'm sure I'm in a similar position with the other things I mentioned, as well. So I can still understand how people get obsessed with certain things (or non-things).